Our burgers look homemade, as if you'd made them yourself. 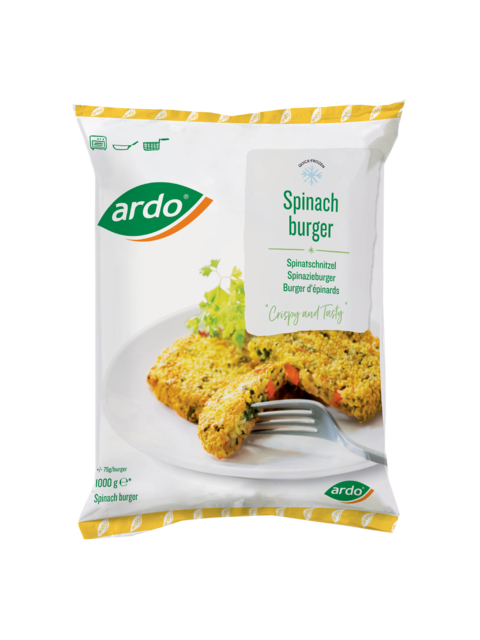 At 75 gram each, they fit in perfectly with a whole range of meals including meat, fish or vegetarian dishes. A delightful and delicious variation on conventional vegetables. Popeye would do anything for this delicious mixture of spinach, vegetables and cheese, in a crunchy crust. Place the product in a single layer on a baking sheet. Bake in a pre-heated oven at 200°C for 12-14 min. until golden, turning once.